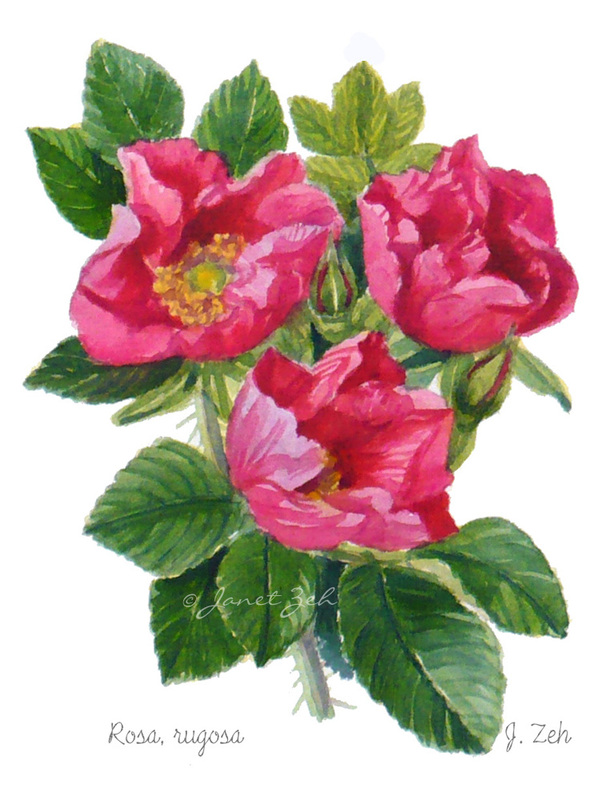 Rosa rugosa: A pleasing bouquet of splendid beach roses. Growing wild by the seashore, Rugosas are easy to grow. These are from my garden. Rugosa Roses Botanical print comes in several sizes and print options. Click the Order Print button below for sizes, options and prices.